Can be trimmed up to 5" from each side. 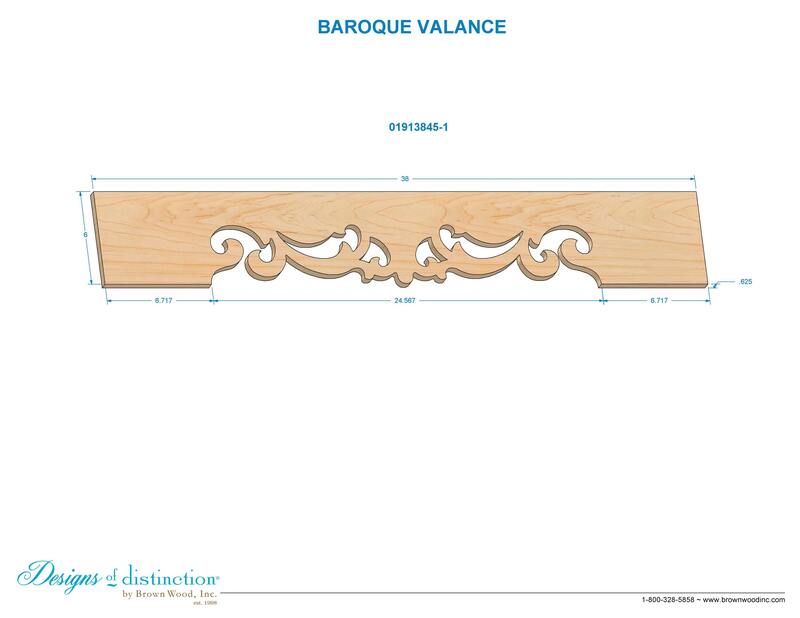 Use the Baroque Valance to add a simple, yet polished, finishing touch to hoods and ranges, windows, cabinetry and more. The Baroque Valance, available in 2 sizes, is part of our Baroque Collection, though it complements various styles of décor. Shop matching components in our Baroque Collection.